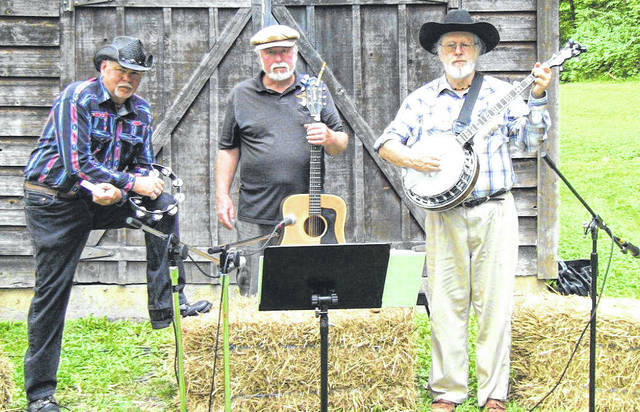 The Three Rivers Band will be the featured performance at the July Farm Forum fundraiser. A picture of a Japanese beetle. Greene County Farm Forum will hold its annual picnic and agricultural scholarship fundraiser Saturday, July 14 and we need your help. – Emalyn Dant who is a graduate of the Greene County Career Center and plans to attend Clark State University majoring in Landscape Design. – Sarah Harner is currently in her second year at the OSU Agriculture Technical Institute (ATI) at Wooster majoring in agri-business. – Robert Bradley is a graduate of the Greene County Career Center and plans to attend Hocking College majoring in Wildlife Resource Management. – Bradley Eakle is a graduate of Greeneview High School and plans to attend OSU ATI and major in Agri-business or Agriculture Education. – Hailey Bowman is a graduate of the Greene County Career Center and will attend Sinclair Community College in the Veterinary Technician program. Funds for these scholarships were raised through last year’s annual Farm Forum Picnic/Scholarship Fundraiser. The organization has raised more than $20,000 in the past 10 years to be awarded to deserving recipients studying programs in agriculture. This year’s fundraiser will be held 6 p.m. July 14 sat the Fairground Dining Hall in Xenia. The evening includes a great meal catered by Rooters Concessions & Catering; entertainment by the Three Rivers Band, a silent auction and many door prizes. Tickets are $20 for adults (11 & older) and $4.50 for children age 10 and under. If you need tickets for the event contact Jim and Ann Byrd at 937-429-1805 or email: byrdhouse9@yahoo.com, Paul Ayres at 937-352-6379 or email payres1@woh.rr.com or me Jerry Mahan at 937-372-5711, email: mahan.2@att.net. If you want to make a cash donation or contribute an item for the silent auction or door prizes contact those listed above. All donations are tax deductible and are handled through the Greene County Community Improvement Corporation (Greene Giving).Make checks payable to Greene Giving. I saw my first Japanese Beetle on June 15 feeding on some roses and other flowers. These insects love to feed on many plants including roses, linden trees, and grapes as well as corn silk and soybeans to name a few. The adult form of the insect has a metallic green color and is about 3/8 inch long. The Japanese Beetles emerged from the soil a few days ago after spending most of their life as a grub worm feeding on the roots of grass since last summer. They especially like the roots of Kentucky bluegrass, Perennial Ryegrass and fescue. The adult Japanese beetles (Popillia japonica) will mate and lay eggs usually through mid-August and die. The life process starts over with the newly larvae feeding on the roots of grass until the soil temperatures cool and the insects go deeper in the soil. August and early September is the time we commonly see some turfgrass areas die from the feeding of these insects and one can often “roll” the turf back where feeding has occurred and the grass roots killed. Interestingly this insect will lay their eggs in the greenest grass giving their offspring the best chance of survival. Control of the beetles on landscape plants can be accomplished through the use of a can of soapy water (if you have a few insects) and your time to knock them into the can. Products containing the insecticide sevin among others can work well but follow label instructions but this product can kill both good and bad insects. Some plants are immune to the insect. This insect is rarely a problem in field crops. If you find more than 6-8 grubs/square foot in your lawn in the early fall treatment may be required to prevent further damage. Many of the better grubworm control products like Bayer Season Long Grub Control contain Merit (imidachloprid); Scotts GrubEx contains chlorantraniliprole while other grub control products may contain the active ingredient clothianidin, or halofenozide. Good control can be obtained with these products through early September according to research done by Ohio State University. It is important that these products be watered in after application with at least 3/8 -1/2 inch of water to get the material into the soil. Always follow label instructions. Beetle traps are not recommended as they work like “honey” by attracting more Japanese beetles to your property. If you must use them place the traps as far away from plants you want to protect. Neither is Milky Spore Disease recommended by OSU as our climate gets too warm for the disease to live in the soil and kill the grubs. For more information on this insect go to https://ohioline.osu.edu/factsheet/ENT-46. https://www.beavercreeknewscurrent.com/wp-content/uploads/sites/49/2018/06/web1_Band.jpgThe Three Rivers Band will be the featured performance at the July Farm Forum fundraiser. https://www.beavercreeknewscurrent.com/wp-content/uploads/sites/49/2018/06/web1_Bug.jpgA picture of a Japanese beetle. Jerry Mahan is a Greene County resident and guest columnist. He can be reached by email at: mahan.2@att.net.